I have lived in Baldwin County for the majority of my life. I have been married for 15 years to my husband, Edward Theo Theodoro, who is retired from the United States Navy. My father is the retired Sheriff of Baldwin County, Alabama and my mother is a practicing attorney in Baldwin County, Alabama . For several years, I served as an Assistant District Attorney in the 4th Judicial Circuit of Alabama, which included, Dallas County, Wilcox County, Hale County, Bibb County and Perry County . 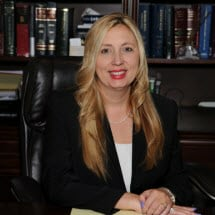 After serving for several years in Selma, Alabama as a Prosecutor, I moved back to Baldwin County, Alabama and served as an Assistant District Attorney in the 28th Judicial Circuit of Alabama as the Drug Prosecutor for Baldwin County, Alabama . I currently serve as the local prosecutor in Summerdale, Alabama . My practice main practice areas are family law and criminal defense.